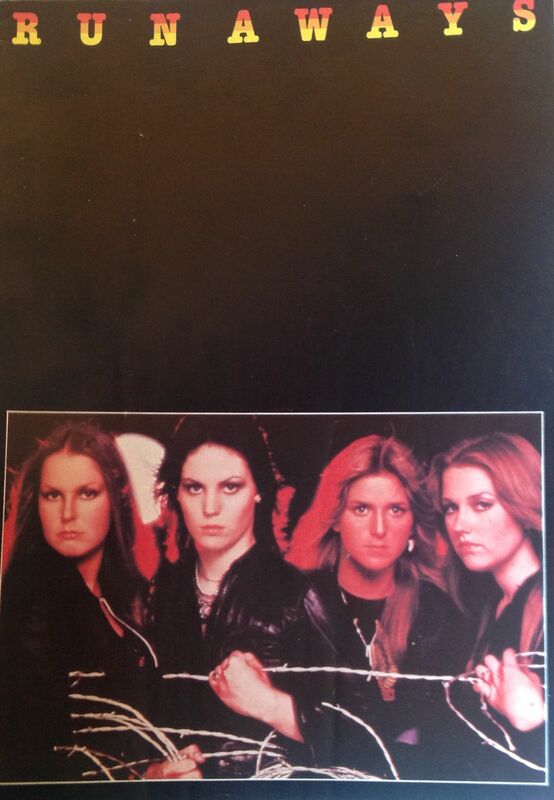 The Runaways were an American all girl rock ‘n’ roll band who came along in the late ’70s. Although they were seen at the time as being part of the punk and new wave movement, and they certainly shared some of the same raw energy and directness, they were actually a pretty straight ahead rock ‘n’ roll band. 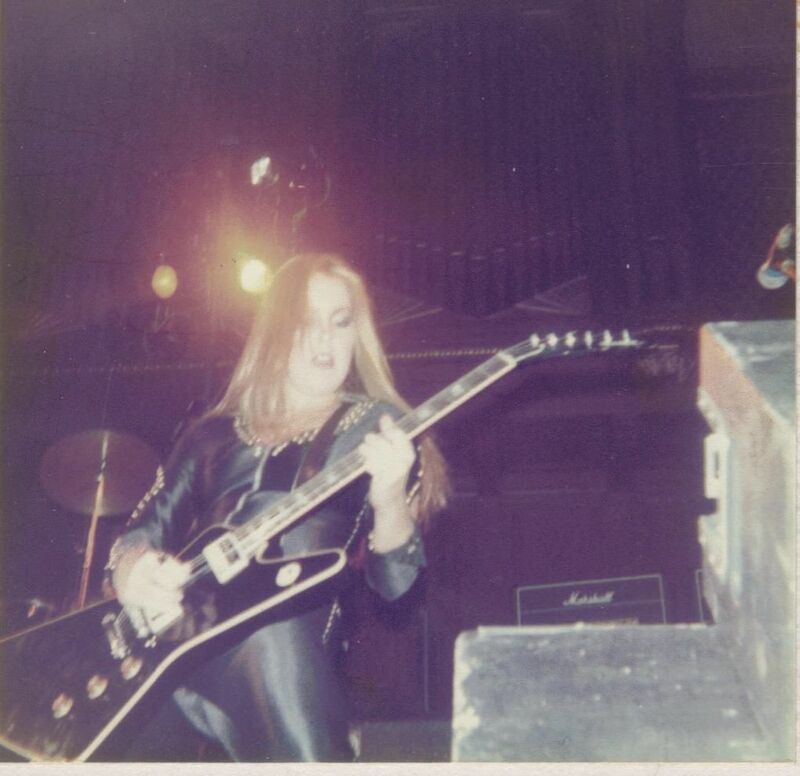 The Runaways were Joan Jett (lead vocals and guitar), Lita Ford (guitar), Jackie Fox who was replaced by Vickie Blue (bass) and Sandy West (drums). Cherie Currie (vocals) was an early member of the band. 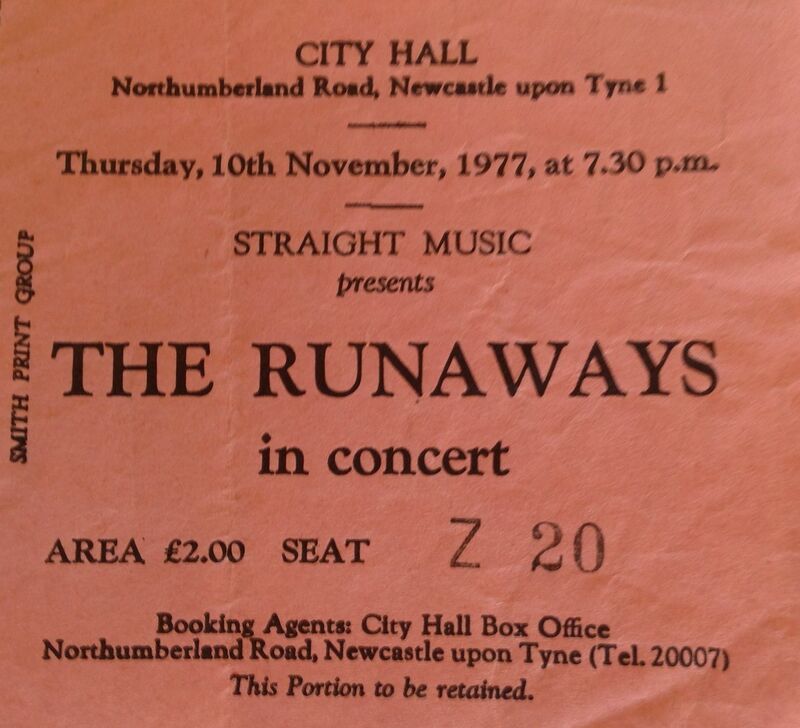 I saw the Runaways twice, once at Leeds University Refectory on 9th October 1976 and again at Newcastle City Hall on 10th November 1977. Both great shows. A group of us drove down to Leeds for the first gig, which was one of the first new wave concerts that we all saw. Support came from Old Tennis Shoes. By the 1977 gig, Cherie Currie had departed, and the band became a four piece, but lost none of their raw rock ‘n’ roll power. Support at the City Hall gig was the excellent UK punk band 999, who had great powerpop songs like Emergency and Homicide (also check out their version of Little Red Riding Hood). From the programme: “Outdated rock n roll authorities would suggest the day of the all girl group wound up with the end of the sixties – but the raw fact is; its just begun. ..The Runaways are the new phenomenon and they not only spit out tough, raunchy vocals that would slice a man in half, but they write first class songs and handle their instruments with near phallic indecency…the idea of a cute chick sweating on stage beside the big boys is a little hard to swallow, so the idea of four such ladies is four times as hard to swallow…” Joan Jett, Lita Ford and Cherie Currie all went on to have successful solo careers. Runaways setlist: Wasted, Take It Or Leave It, Blackmail, Queens Of Noise, You’re Too Possessive, Wild Thing, You Drive Me Wild, Rock And Roll, Wait For Me, I Wanna Be Where The Boys Are, I Love Playing With Fire, Schooldays, American Nights. Encores: C’mon, Little Sister. 999 setlist: Pick It Up, Hit Me, Quite Disappointing, My Street Stinks, No Pity, Chicane Destination, Titanic Reaction, Crazy, Nasty Nasty, Emergency, I’m Alive, Nobody Knows. Encores: Nasty Nasty, I’m Alive. Thanks to Mitch for the setlist and his picture from the concert at Newcastle City Hall.